Who invented the keyboard layout? When was the first typewriter manufactured? In the past, learning to type was a skill that not everyone bothered to learn. If you didn't use a typewriter to write letters, you could get by without learning to type. Today, though, computers are a major part of our lives — both at home and at work. Knowing how to type is now a must for most people. Sure, you can get by with the old “hunt and peck" typing method, but who wants to hunt for each letter and peck them out one by one? In today's world of fast-paced communication, it's important to know how to communicate quickly and accurately. If you've ever paid much attention to a keyboard — either on your computer or even on other types of electronic devices, such as smartphones — you've probably noticed that it isn't set up alphabetically. Starting in the upper left corner, you won't see ABCDEF. Instead, you'll see QWERTY. What's up with that? In case you're wondering if the QWERTY keyboard layout (yes, that's what it's commonly called) was an accident, the answer is no! It was planned that way. Way back in the 1860s, American inventor Christopher Sholes began working on the first prototypes of the typewriter in his Milwaukee machine shop. 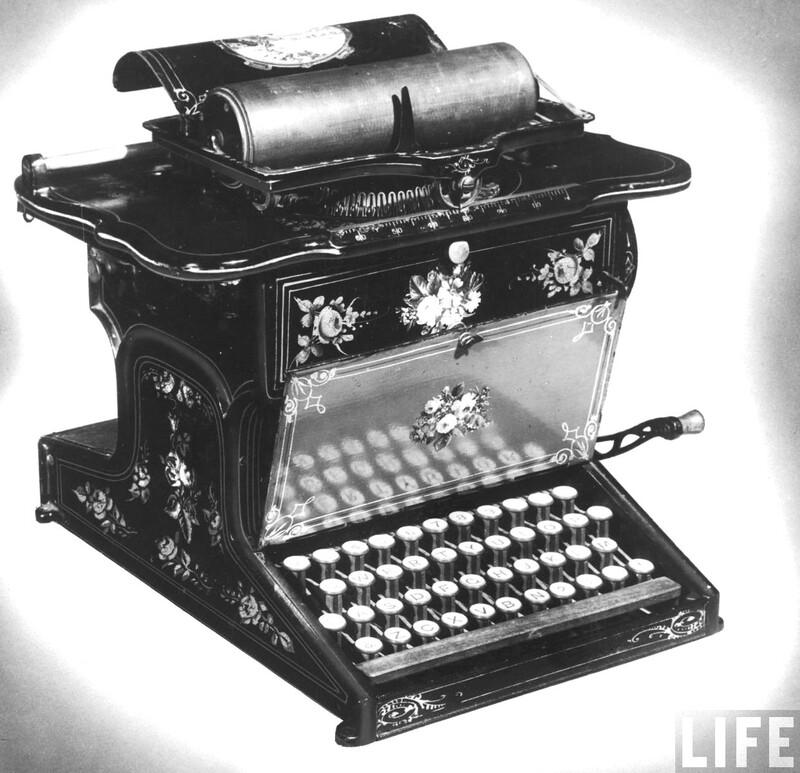 In 1874, manufacturer Remington & Sons marketed the first commercial “Type-Writer" — called the Remington Number 1 — which was designed by Sholes and used an early version of the QWERTY keyboard still in use today. Sholes' early typewriter design used a mechanism that featured raised characters at the end of a bar. When a key was pressed, a linkage would move the bar with the appropriate character into contact with an ink-coated cloth ribbon. As the raised character hit the ribbon, it would leave the impression of the character in ink on the paper situated behind the ribbon. The spool of ribbon would then rotate to another ink-coated section for the next pressed key. Unfortunately, Sholes' original design positioned the bars too closely together. In early tests, the bars frequently collided and would jam easily. Sholes, who had originally laid out the keyboard in an alphabetical design, decided to redesign the keyboard so that the most commonly used letters would be as far apart as possible on the keyboard. He believed this would minimize the jamming problem. Thus, the QWERTY keyboard layout was born! Once Remington & Sons began to mass produce typewriters, the QWERTY keyboard layout quickly became the universal standard. Even though subsequent typewriter designs quickly eliminated the problem of jamming keys, the QWERTY keyboard layout stayed the same. Since it was first, the QWERTY keyboard layout was the first and only type of keyboard most people ever used. Although several alternative keyboards were designed in the following decades, none proved to be superior to the QWERTY layout. Therefore, QWERTY continued to be — and still is — the universal standard keyboard layout. In 1932, Professor August Dvorak of Washington State University developed what he claimed to be the ultimate keyboard layout. The Dvorak keyboard minimizes the distance the fingers must travel to type the most common characters. Studies, however, showed that using the Dvorak keyboard didn't really improve typing speed much, if at all. Since no one wants to learn a new keyboard if it's not clearly superior to the standard version, the Dvorak keyboard never really caught on. Tomorrow’s Wonder of the Day is fresh and almost bubbling over with excitement! How fast can you type? Find out today! Jump online to try out this Timed Typing Test. Just follow the instructions and type as quickly and accurately as you can. Can you type faster than your friends and family members? Have an online competition today! Can playing online computer games help you become a better typist? You bet they can! Give Type Type Revolution a try today. What do you think? Can you see any improvement in your typing after a few plays? Ready to try a different game? See how you fare against your friends and family members in a spirted game of QWERTY Warriors. Who can get the highest score? Keep track of your scores. Do you see improvement over time? I never thought of a keyboard that way! We think it's super interesting that QWERTY was formed so that the most commonly used letters would be as far apart as possible on the keyboard to limit jamming problems on typewriters! It's really cool to learn more about the history of the QWERTY keyboard, and that the keyboard was designed so that the most commonly used letters would be as far apart as possible! We hope this Wonder helps you learn more about keyboards, Idubbbz! well, type writers seem pretty cool. 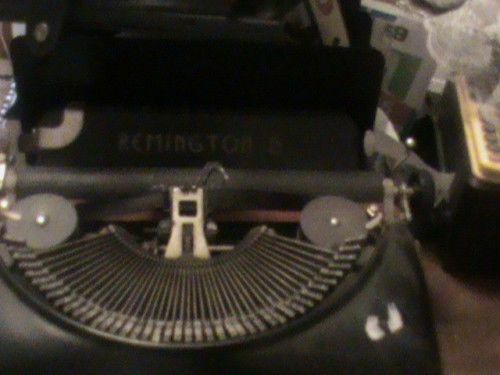 I would like to own a type writer someday but, we all know that's not going to happen. I think my dad owned a type writer though. I'm going to ask him if he did. I knew that there was a reason for the QWERTY keyboard, but i never knew what reason. Thanks for telling me! Now that we have computers, they should make the most common letters closer together. But they should also keep the same keyboard for the people who have already learned how to type. It would make it a lot easier, and everybody has an iPad or iPod now so most people don't use the home keys, and for phones you use your thumbs. Someone really needs to rethink this system. My uncle has one and it is really cool. I love them. It is so cool. So Now I Know Why I Came Up: TYGHJDFYGERUY Instead Of I like you! Thanks guys, for telling me what it means. I have a cell phone and my mom was describing to her friend and she says she has a qwerty keyboard. I'm like, "what in the world is qwerty?" It was too slow... but it was good!!! Starting in the upper left corner of a keyboard, which letters do you see? 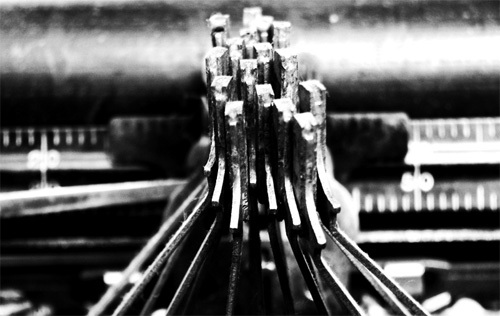 Which manufacturer marketed the first commercial typewriter? Which of the following is an alternative to the QWERTY keyboard that never really caught on?